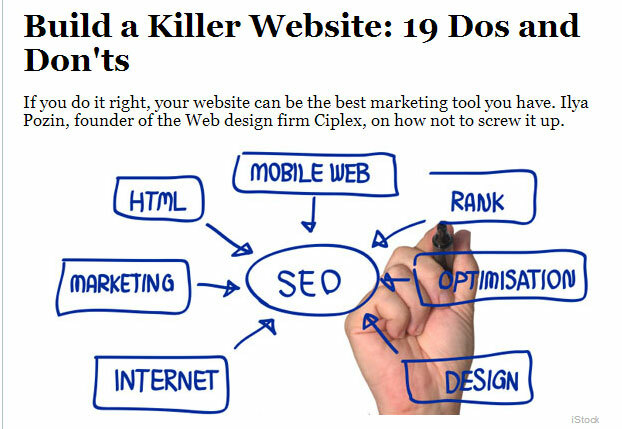 Blog A Great list for someone looking to build a website. A Great list for someone looking to build a website. There are so many different ways to create an online presence these days. Inc. Magazine recently published a quick guide containing a good list of do’s and dont’s. We think their list is a great guide to the new business owner who isn’t sure where to start.